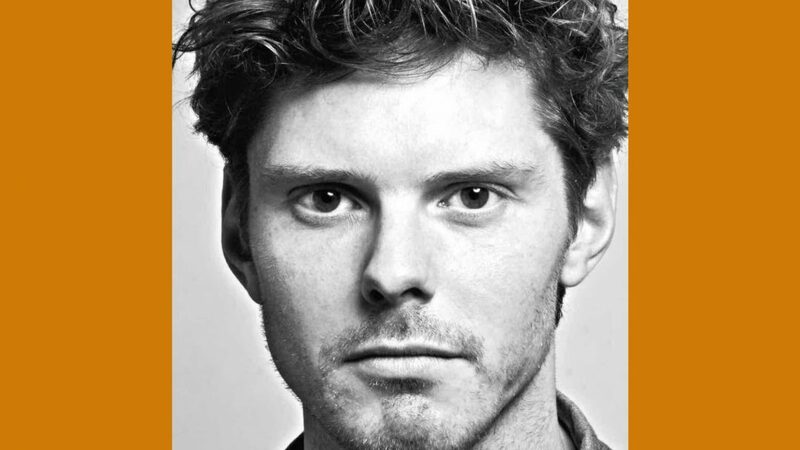 Oliver Bennett has written and stars in A Hero of Our Time, created by HUNCH theatre – a new international company, comprised of artists from the UK, Belarus and Columbia. 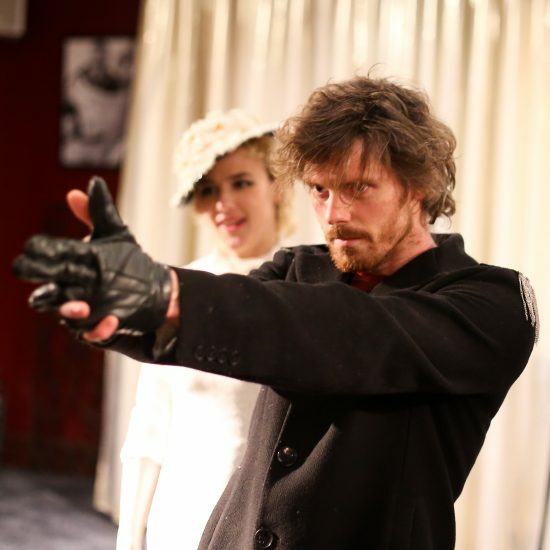 A Hero Of Our Time marks the world premiere of a new adaptation of Mikhail Lermontov’s neglected 1840 novel. Following a sell-out run at the Edinburgh Fringe, it comes to the Arcola for four weeks only from 19th November. You’re bringing A Hero of our Time to Arcola Theatre, what can you tell us about it? HUNCHtheatre is so excited to bring our adaptation of A Hero Of Our Time to one of the best theatres in London. This is the first show of our company. We followed our HUNCH and created it in the living room of our director Vladimir Shcherban, we then took it to a hotel in Soho and then Edinburgh Festival where we received 5-star reviews and had sell-out shows. The Arcola have been very good to us, allowing us to launch and expand. ‘A Hero Of Our Time’ is a funny, cynical, genuinely thrilling piece of literature. It is follows the resting soldier Pechorin as he amuses himself by competing with his friend Grushnitsky over a young princess Mary. This escalates from a bit of fun into all out war. We invite you into the mind of soldier, where bars and ballrooms are turned into battlefields. What made you want to work with Mikhail Lermontov’s novel? Mikhail Lermontov wrote the novel in the mid 19th century. He is considered one of the greatest writers in Russia, on a par with Pushkin, Tolstoy and Dostoyevsky. He was a morally ambiguous man, was frequently exiled and was killed in a duel before he was thirty. He was a painter, a poet, a playwright and novelist. ‘A Hero Of Our Time’ is an experimental novel, it is made up of five sections, with three different narrators, each offering a different perspective on the character of Pechorin. We have chosen to the ‘Princess Mary’ section. It is a masterpiece that has been neglected in the English-speaking world. HUNCHtheatre’s ethos is to mix European and British aesthetics and traditions. Director Vladimir Shcherban is from Belarus and the cast is from Britain and Russia. We have all collaborated on this classic European text, creating a unique cultural exchange which we hope is reflected on the stage. Tell us how you have fused 19th century Russia with modern London? We have mixed some of the poetry of the original with a modern vernacular. We use modern technology – screens, phones, music – but keep the original plot with its ballrooms and duels. The idea is to create a world which is both nineteenth century Russia and twenty-first century London. We want to create something fast and thrilling and invite the audience to consider how much or how little has changed in two hundred years. Have you made any changes since the Edinburgh Fringe run? We have a new cast member since Edinburgh, Scarlett Saunders, who will play Princess Mary and Vera. She has added a new injection of energy and has created a wonderful interpretation of both parts. We have also changed the configuration of the show, from traverse to thrust. HUNCHtheatre create flexible shows which can go into any space and the show has already played in three very different spaces already. Part of the ethos of our company is that we can perform in social housing or the National Theatre! You also play Pechorin, is it easier or harder performing in something you’ve written? Much easier! It is a very interesting experience. I have been performing and developing this text for over a year now. It is wonderful to be able to change it freely depending on how I feel. Now I sometimes can’t tell where Pechorin ends and I begin. What would you say to anyone thinking of coming to see A Hero of Our Time? Book your tickets fast! This is the only opportunity you will ever have to see this lost masterpiece on the stage (probably). It is a thrilling show, a unique mixture of European and British aesthetics, from a new international company comprised of award-winning artists. We create work following our HUNCH, we work without barriers, be they cultural, linguistic, political or bureaucratic. Come and see our 5-star show and join us on the first step of our exciting and unpredictable journey.